"Reunions like this are the best kind of stories." Driving through the plains of Amboseli National Park in Kenya last month, park rangers began hearing a loud, trumpet-like cry echoing throughout the area: a sure sign that someone was in trouble. 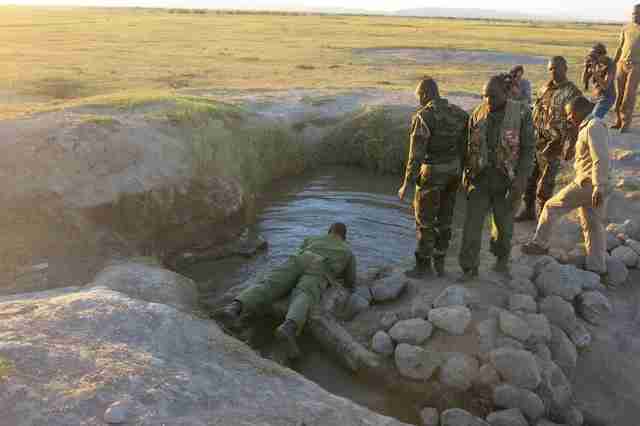 As they followed the cries, they soon came across the source. 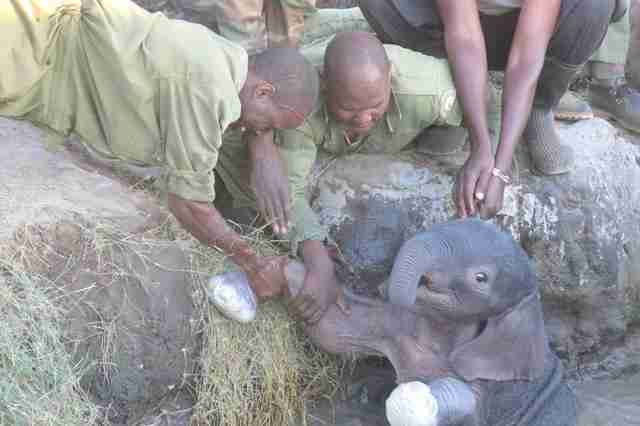 A baby elephant had gotten trapped inside a watering hole — and his mom couldn’t get him out on her own. 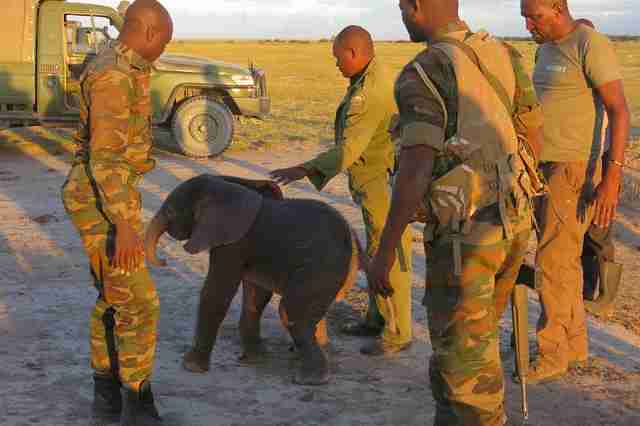 With only minutes until nightfall, the rangers began trying to remove the calf on their own while waiting for rescuers from David Sheldrick Wildlife Trust (DSWT) to arrive. Luckily, by the time DSWT rescuers got to the scene, the mother was nowhere to be seen — which would give them a brief window to safely rescue the baby. The rescue team jumped into action to hoist him up out of the water. Five men were needed in total to pull the baby out — while two others kept watch in case the worried mom tried chasing them off again. No one knows how long the calf was stranded there, but he wasn’t exactly exhausted from the whole ordeal. He got right to his feet and rescuers put him into the rescue van to try to locate his mom. The feisty mom was so glad to finally see her baby safe — and was more than ready to bid the rescuers farewell. 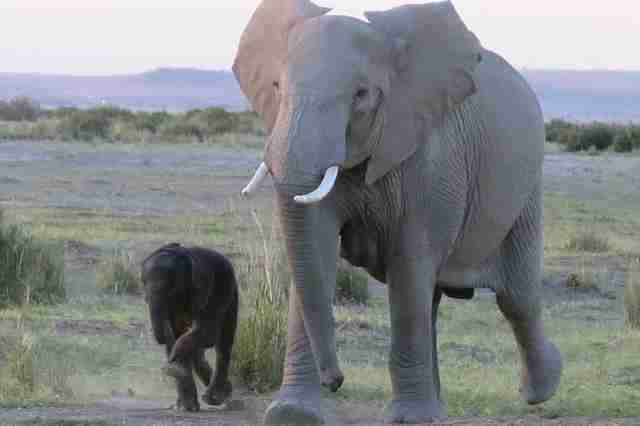 With a final charge toward the rescuers, the mother returned to her calf’s side and left. Since many of the calves DSWT finds alone have been orphaned due to poaching, this reunion was surely a cause for celebration. 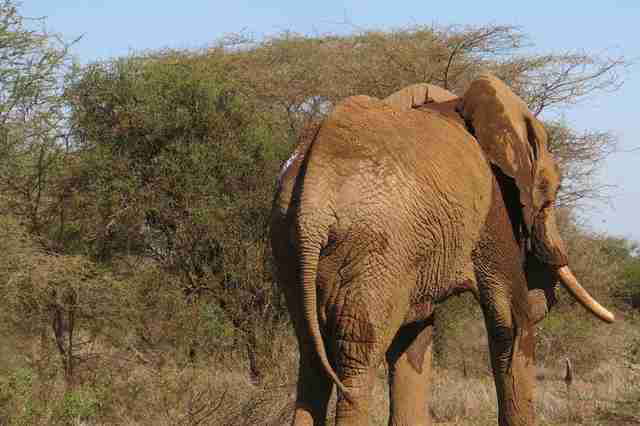 To help more elephants in need, you can make a donation to David Sheldrick Wildlife Trust.